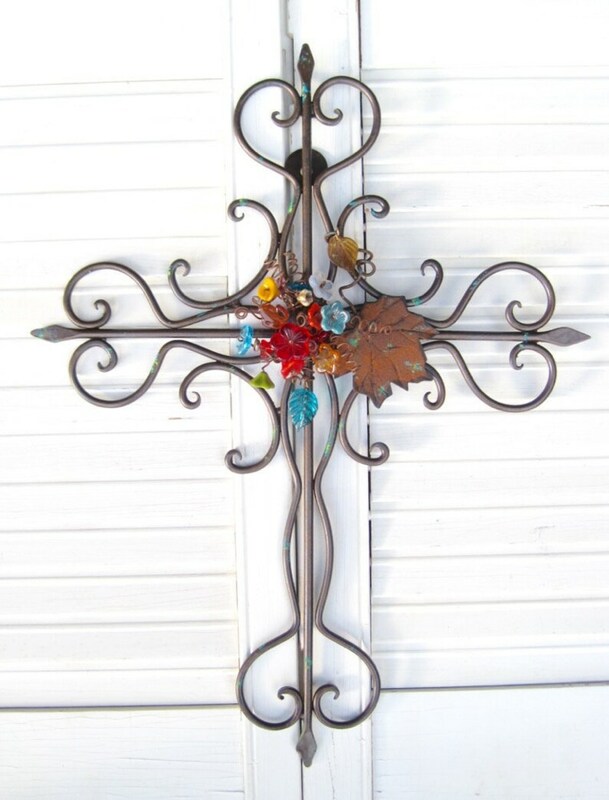 A beautiful wall cross made of wrought iron, adorned with colorful flower beads and leaves. It would make a wonderful housewarming gift or a gift for any occasion. SUPER BEAUTIFUL!! 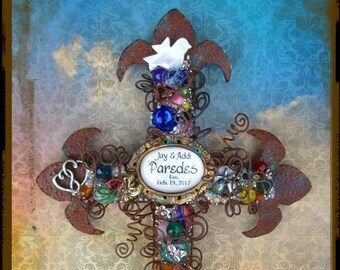 I loved having the cross personalized...It made it look that more special!! Oh My Goodness! How beautiful! So artfully done with love and care. You are so talented. Thank you. 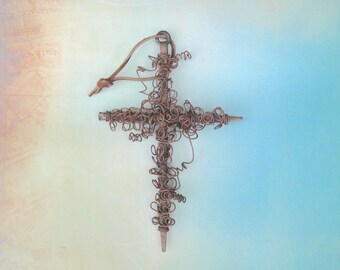 We cannot thank you enough for creating this beautiful Confirmation Cross! This completely exceeded our expectations. 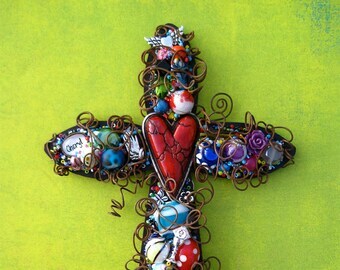 This is a gift for my daughter's confirmation sponsor and we know she will absolutely love this cross. 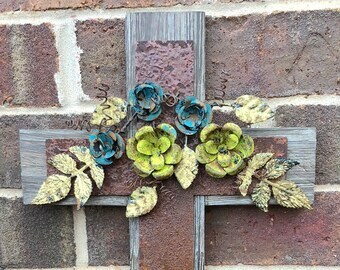 This cross is made with love and care. Thank You!! 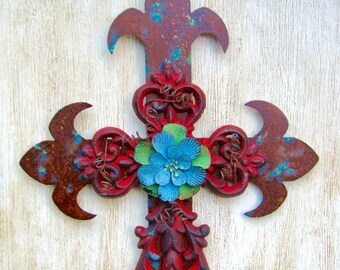 Beautiful cross that arrived quick!